B & BS INTERNATIONAL INC. is located in Wuhu Economic & Technological Development Area(WEDA), Wuhu City, Anhui Province, P. R. China. 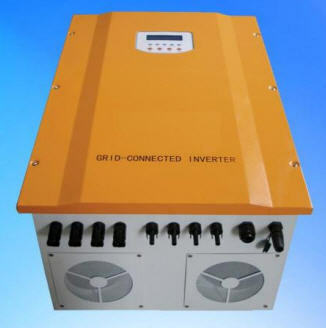 It deals in photovoltaic products (solar panels, controllers, inverters) with the installation and after-sales service. Our factory, belonging to B & BS INTERNATIONAL INC., is principally and professionally manufacturing and supplying the following on-grid (grid-tied) and off-grid every solar energy systems with great and small powers. For the technical parameters of the photovoltaic modules, you can visit our website (www.bbsiipv.com), for reference and if requested, CE, TUV, and other certificates will be sent accordingly. 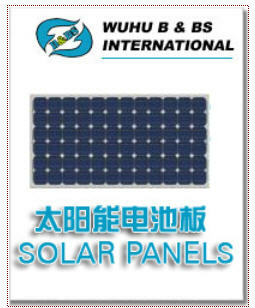 Our solar panels (photovoltaic module or photovoltaic panel) is a packaged, interconnected assembly of solar cells with a high efficiency coefficient. The solar panel can be used as a component of a small or larger photovoltaic system to generate and supply electricity in commercial and residential applications. 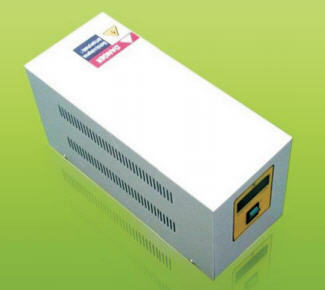 Providing isolated transformer and transformerless types. With over-charge and over-discharge protecting functions! Our factory has been legalized by ISO9001:2000 and managed under the standard regulations. Owing to the advanced scientific and technological development capability, our products have enjoyed great popularity for their favorable prices and reliable qualities in the world markets and thus are being exported to worldwide!